Whilst the men were out fighting battles, the ladies of the Round Table would spend their days completing tapestries and teaching the children. Another of their past-times was playing complex number games. Lady Carden, the beautiful daughter of a physician and wife to the brave Sir Bonfleur, was particularly good at puzzles. So clever was Lady Carden that she created her own puzzles which became renowned within Camelot as being the most fiendish and difficult to solve. 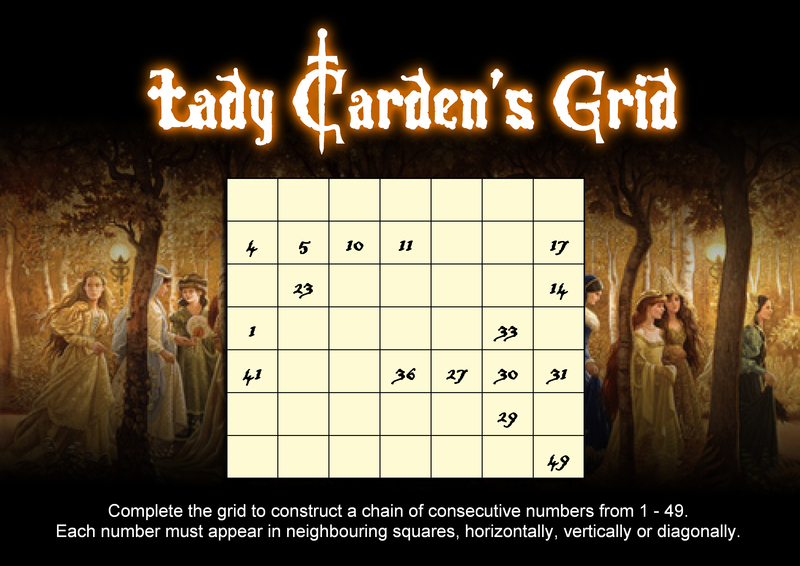 Here is one of her number grids – the instructions are simple, but to complete the grid you need logic and thought. Good luck. Don’t forget to check out some of the other Mind Games.